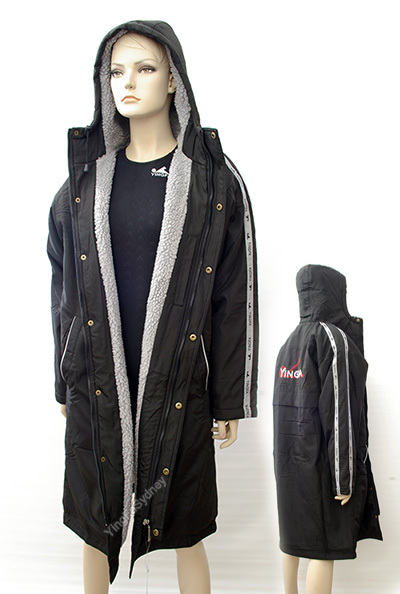 These Jackets / Coats are designed for aquatic athletes who demand exceptional thermal protection. 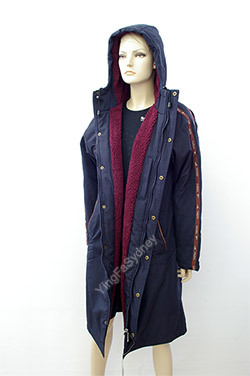 Features water repellent coated outer nylon shell, arctic fleece inner lining, and reinforced seams and lined pockets. 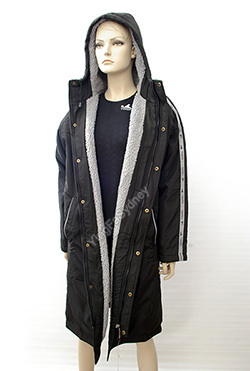 Designed to lock in body heat and lock out wind and moisture. 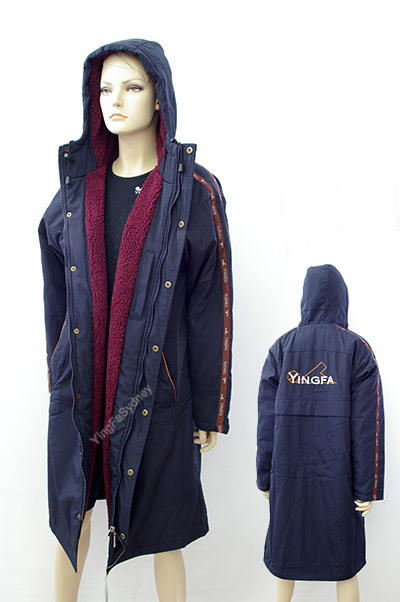 This product is warm and comfortable. See Selecting and Sizing page to determine your size. Phone if you need help.